Would you like to help people turn their homes into dream homes? Would you like to see your clients improve their life areas? Would you like to be the catalyst for others to live their dreams and realize their full potential? If so, you have found the right Feng Shui Consultant Training Program. Have you ever dreamed of having a profession that allows you to make a difference in people's lives? An occupation that is so fulfilling and satisfying that it doesn't even feel like work? If this is you, keep reading. Feng Shui is the ancient Chinese art of placement, that teaches you "what to put where" so you can feel more relaxed, be more productive, and get along with others better. In other words, Feng Shui shows you how to produce environments where you can be happy, healthy, prosperous and free! As a Feng Shui Consultant for Homes, you don't just learn how to do this for yourself and your family, but you learn how to assist your clients in creating the lives of their dreams. Improve your career, love, health, wealth, travel, spiritual life, fun, knowledge, and reputation, by creating spaces where you can thrive in all areas of life and realize your full potential as you take this course. Then, start your own Feng Shui Consultant business so you can help others do the same. Feng Shui is a great tool, however, many people who try to study Feng Shui on their own, find that the more they study, the more confused they get! If you, like most people, have found yourself in a state of confusion when studying Feng Shui, you are not alone. Many people find that the more they study Feng Shui on their own -- and some even after taking a class -- they feel more confused. Fortunately, you have found the number one school for user-friendly Feng Shui, which can help you gain more clarity about it . Say goodbye to the Feng Shui confusion! The Nine Steps to Feng Shui® System makes it easy to learn and apply Feng Shui. With this system you can practice Feng Shui by-the-numbers, in a hierarchical and synergistic order, by which every task you perform to improve the energy of your home has a lasting effect and contributes to the ease of any future tasks. The Nine Steps to Feng Shui® System stays true to the original wisdom underlying Feng Shui, as one of the 5 branches of Traditional Chinese Medicine (the other 4 are Acupuncture, Herbalism, Qi-Gong, and Massage). The Nine Steps to Feng Shui® System is based on 9 principles of ancient Chinese wisdom, each of which inspires a step in the system, small actions that have as a purpose making shifts in the way a person approaches life. The system considers the Traditional Chinese Medicine notion that people are the connectors of Heaven and Earth. Heaven represents Thoughts; Humankind represents Emotions; and Earth represents Physical Actions. Every step addresses the mental, emotional, and physical aspects of change. This online course gave me a mature, integrated & actual knowledge on Feng Shui. I have been able to ask questions on the topics of the course applied to my home, and always received complete video online answers!! This is one of the fabulous benefits we have!! I have applied the necessary suggestions & cures on my own home and everyone who visits me always say: "Wow, what a nice place, so welcoming, I feel SO well here!!!" If I have made my own place a harmonious, peaceful, beautiful place to live in. Schedule a live video chat meeting with me (Moni) to apply to the Nine Steps to Feng Shui® School. If I confirm that you are a good fit for this program, I will give you the go-ahead to enroll. Before you schedule this meeting, you will need to fill out an application form. Click on this link to fill out the form and apply for a live meeting with Moni. Take this course to learn the most basic concepts about Feng Shui, so that you are never again confused by it. What does "Feng Shui" mean? A brief history of Feng Shui. Feng Shui and Chinese Medicine. 3.1 Take the Course The Nine Steps to Feng Shui® Applied to Homes. The online video course is designed to be taken in 12 weeks, devoting 1 hour per week to watch and study, but you can do it faster or take up to six months. The course can be watched on a desktop computer, laptop, smart phone, or tablet. All videos are mobile friendly. This is a 12 week online course where you will learn the Nine Steps to Feng Shui® System. This course will reveal the secrets of Feng Shui to you in a format that is very easy to follow and understand. Every Feng Shui topic is addressed individually in its own video, so that you can always find easily what you are looking for, and review individual Feng Shui issues as you need to. The videos stream from the training website so there is no need to download anything. All videos are computer and mobile friendly, so you can study wherever you have a device and an internet connection. You can post questions under each video, or you can post your questions in the Facebook group. This course never expires, so you can take it as any times as you want, and you can go back to it whenever you need to. 3.2 Do the Feng Shui of Your Own Home with Moni's help, as she guides through the Feng Shui Immersion Program (at the same time as you study the online course). During Step 3, as you study, Moni will help you Feng Shui your home completely using the Nine Steps to Feng Shui® System in a Feng Shui Immersion Program for your home. It is important that you experience the power of the Nine Steps to Feng Shui® System, for you to be able to understand it, and help clients later on. Moni will create a Facebook group just for you, where she will give you one task at a time. When you complete each task, you will be given the next one. The duration of this part of the program ranges from 3 to 6 months, depending on how fast you can get your tasks done. Learn how the Nine Steps to Feng Shui® System can be applied to different kinds of homes. This course on case histories will give you the confidence to Feng Shui any type of home for your clients. This course provides you with case histories that show several different ways to approach Feng Shui consultations and working with clients. This portion of your training will help you bridge the gap between the theory and the actual practice of Feng Shui. high end homes with extremely irregular floor plans. When you go into clients homes, you need to be able to establish healthy energetic boundaries with them, so that you are not affected by their issues. You also need to be able to set aside your own issues while you work on clients homes. Angelic Feng Shui Training was created to help you keep your balance as you serve your Feng Shui clients, and also to help you clear spaces from less than love energies and frequencies. Angelic Feng Shui is a Spiritual Healing and Clearing Modality created by Feng Shui Expert Moni Castaneda (me!) and Vibrational Healer Bill Austin. You also get 2 Angelic Feng Shui Training MP3 Recordings, to help you harmonize your home and your life. This part, as all other parts of the training, is mandatory. If you don't feel comfortable with the concepts of distance and energy healing, this training is not for you. I (Moni) or a licensed Nine Steps to Feng Shui® Consultant will guide you through the Feng Shui Consultation of the home of your first client. This consultation focuses only on steps 1, 2, and 3 of the Nine Steps to Feng Shui System, and it is the type of consultation that you will do most often in practice. After completing the previous requirements, you will get your certificate as an Earth Level Feng Shui Consultant, having finished the training on Feng Shui for Homes. The Nine Steps to Feng Shui Practitioner's manual. Marketing materials and support from Moni. A private Facebook group where you can get to know other consultants, and get assistance from Moni with difficult cases in the Feng Shui of your clients. A copy of the app Live Interior 3D for Mac or PC computers, so that you can learn how to draw floor plans and create perspectives of your clients' spaces. It is easy to use, and it comes with great tutorials. The Nine Steps to Feng Shui® System is a proprietary method to apply Feng Shui. To call yourself a Nine Steps to Feng Shui® Consultant, you need to have a current and valid license. If after the end of your 1 year of training, plus your 1 year of free support, you want to practice without any further support from me (Moni), we'll shake hands and go our separate ways. If your performance as a student and beginning Feng Shui consultant has been impeccable during those 2 years, I will invite you to sign an agreement and become a licensed Nine Steps to Feng Shui Consultant. Unlimited support with questions about the Feng Shui of your own home and case histories of your clients. Access to continuing education and specialization courses at half off price. Unlimited access to all the courses and materials used during your training. A listing and a webpage on my own website. After you sign the agreement, you will get your license as a qualified Nine Steps to Feng Shui® Consultant for Homes. NOTE: There is an annual fee for this license, starting on your second year. I signed up for Moni’s classes after she did a consultation for my home. I had read a number of books on Feng Shui, including “Feng Shui for Dummies,” but it was all so confusing! I was feeling desperation in my personal life and I knew Feng Shui could help me. After the consultation, I went on to take some Feng Shui classes with Moni. Joining the training to become a Feng Shui consultant was a natural progression. The training helped me feel more grounded. There are a lot of people today who talk about energy, but I wanted the security of knowing that I was tapping into an ancient art. Join Moni in the Private Facebook Group she will create for Your Feng Shui Consultant Training. The content was very informative and easy to understand. I feel that I can go into a home or business and practice the 9 Steps System with ease and grace. Moni was a great instructor, being a teacher myself I know the importance of conveying information in an effective way and not make the student feel "silly" for asking a question. Moni answered all of my questions quickly and she made me feel excited about feng shui. The videos were clear and detailed and were posted in a timely manner so that the course "flowed" and there weren't any interruptions because you could refer back to the manuals and charts that were included in the course. I have previously read many books about feng shui but I was always confused about doing it as a profession because of the conflicting information out there. Moni brings a fresh perspective that is both holistic and healing and she teaches it from a love paradigm which is absolutely awesome! The Feng Shui Consultant Training starts as soon as you enroll. The program is designed to take 9 months, but you may take up to 1 year. How long do I have access to the program training materials? The Feng Shui Your Home course and the Angelic Feng Shui Training never expire. Other parts of the training require that you sign the licensing agreement and keep your licensing agreement active in order to have access to them. 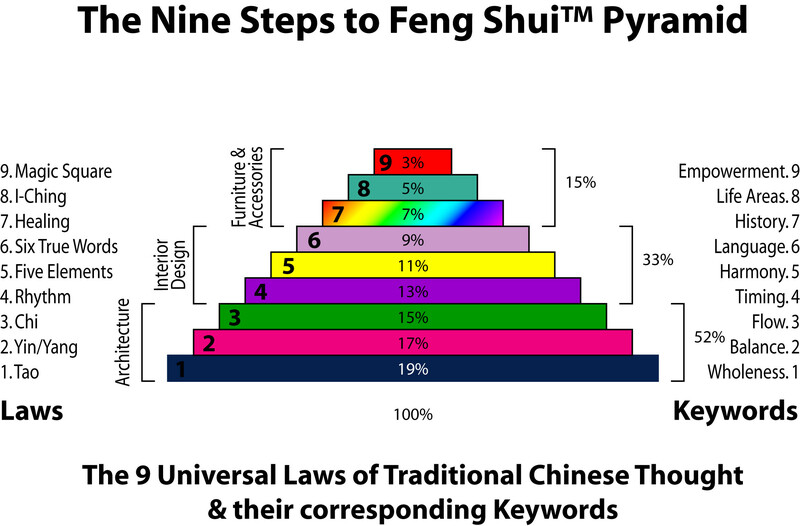 These are the Nine Steps to Feng Shui® Practitioner's Manual, the Case Histories, and the course How to Promote Your Feng Shui Consultant Business. When I decided to train to become a consultant, I chose Moni’s training because of her background as an Architect, the knowledge that she had on the subject was very informative, but also because I saw ways to open people’s eyes to their home and surroundings. The experience of training to become a consultant was great, – a very deep and Spiritual one for me. Acquiring this deep Feng Shui knowledge I realized I would have to be my own support in whatever path I chose. Feng Shui played a part in helping me find my life purpose, which is to be a Life Coach. As I work with clients, I see Feng Shui as one more tool to assist them in their path. I also realized that for my life to be happy and balanced there had to be dance and now I teach Zumba® and salsa on the side. Moni’s teaching was great - I really did get a lot out of it. When I'm driving around I still look at homes and can feel if from the outside if it's good Feng Shui or not. A - Please click on this link to fill out the form. I want to start my training now!